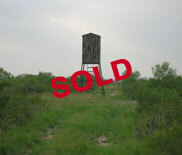 1,100 +/- Acres Located In Zapata County 20 Minutes North Of Zapata. 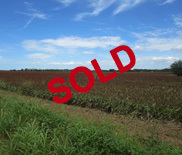 irrigated farmland comprise 1,100 +/- acres. Water rights, river and Highway 83 frontage. Offered at $4,378,000* ($3,980 per acre). 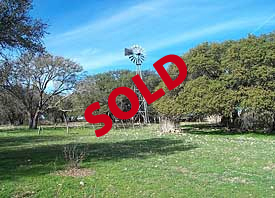 587.36 Acres Located In LaSalle and McMullen Counties 80 Minutes South Of San Antonio. Turnkey hunting/recreational ranch with houses, barns and FM 1582 frontage. Offered at: $1,465,463.00. 5,120 ACRES located in Edwards County 10 miles south of Rocksprings. A beautiful Edwards Plateau ranch, half rolling live oak country and the other half is four-wheel drive country. Has historic old ranch headquarters, four excellent water wells, low fenced, good road system, large neighbors, public road access. Outstanding exotic and native wildlife population. Convey all minerals and 50% of royalty owned. $995 per acre. 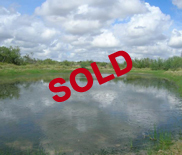 2,864.848 ACRES located in a gated ranch community about 22 miles southeast of Laredo in Zapata County. This unique ranch is one of about ten upscale similar size ranches served by a good all weather access road secured by a key coded automatic electric gate. There are two stock water tanks with great locations for construction of 7 or 8 more. Outstanding tree, brush and grass cover. High fenced on three sides. Excellent internal ranch road system. Deer, turkey, birds and hogs. Surface estate only will convey. 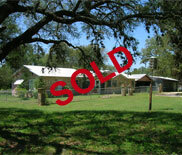 Motivated Seller: Price recently reduced from $1,395 to $1,199 per acre. 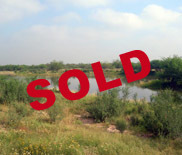 1,300 ACRES located on the North Llano River in Kimble County about 7 miles west of Junction. 3,022 feet of choice river frontage with easy access, fast water, “blue holes” eight feet or more deep loaded with bass, catfish and perch. Springs. Fertile river bottom with giant pecan & live oak trees and upland with awesome views. Old restored hdq house. Trophy whitetail deer, a few Axis deer, turkey, fish, birds. Convey 25% of all minerals. Cash or terms. $2,500 per acre. 881 ACRES located in Kimble County between Junction, Mason, Fredericksburg and Kerrville or about 88 miles N.W. of San Antonio. Will divide. This choice Hill Country ranch has been under single family ownership since the 1930s. Beautiful mixed tree cover with thousands of live oak, Spanish oak, white oak and some cedar. Superb deer and turkey population. Convey all minerals owned. $1,700 per acre intact or in up to four tracts at $1,900 per acre. 745.5 ACRES located in Kinney Country about 23 mi. N-W of Brackettville, or 130 mi. west N-W of San Antonio, Utopian turn-key hunting ranch. Comfortable Hdq has central heat & air and 19 beds. All furnishings, 10 blinds, 20 automatic barrel type deer feeders, two 1,000 lb. bulk protein feeders, and 2 operational chevy pickup trucks are included. Hwy frontage & 2 good water wells. Outstanding tree/brush cover. Deer, turkey, hogs, birds & Indian artifacts. Has undergone an intensive 8 year game mgt program. Majority of minerals are owned and all will be conveyed. Will sell in two tracts. Intact offering price is $1,199 per acre. 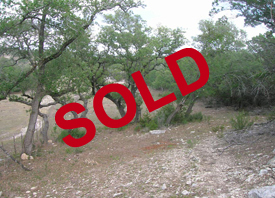 749.53 ACRES located on I-10 near Kerrville in Kerr County. High fenced ranch stocked with trophy Red Deer, Axis Deer and Blackbuck Antelope. Also whitetails & turkey. Older but livable brick hdq house, two excellent water wells and small lake. Includes N-E quadrant of I-10/Hwy 41 intersection with commercial potential. This ranch has about one mile of I-10 frontage. Easy access is via paved interstate highway frontage road. 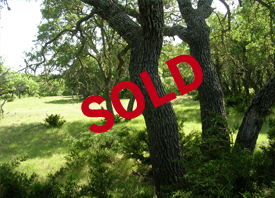 Outstanding tree cover includes many large live oak trees and typical Hill Country trees/brush. All minerals convey. 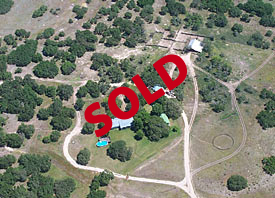 Price reduced to $2,500 per acre or $1,873,825. 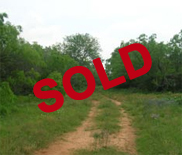 711.3 ACRES located in Webb County about 15 miles south of Laredo. Big buck deer country with Boone and Crockett potential. Also hogs, javelina, quail, turkey, bobcats, coyotes and the occasional mountain lion also inhabit the property. Covered with excellent South Texas brush and grass. Excellent deer and quail habitat. One stock pond. one water well, large low-fenced neighbors. Access is via a 3.5 mile all weather road connecting the ranch with a paved Farm to Market Road. Priced to sell at $1,173,645 or $1,650 per acre. 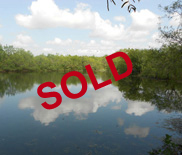 NOTE: An adjacent 688.2 acre tract is also available for sale at the same price per acre. 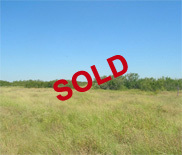 688.2 ACRES located in Webb County about 15 miles south of Laredo. Big buck deer country with Boone and Crockett potential. Also hogs, javelina, quail, turkey, bobcats, coyotes and an occasional mountain lion inhabit the property. Covered with excellent South Texas brush and grass. Excellent deer and quail habitat. Three stock ponds. Two seasonal creeks. Outstanding larger lake site. Sizable neighbors. Access is via a 5.5 mile all weather road connecting the ranch with a paved Farm to Market Road. Seller finance: 15% dwn, 15 yrs @ 6% fixed. Priced to sell at $1,066,710 or $1,550 per acre. An adjacent 711.3 acre tract is also available for sale. 664 ACRES located in the Texas Hill Country about 23 mi. N-E of Fredericksburg, 42 mi. W. of Austin, or 55 mi N. of San Antonio. Two strong spring-fed, crystal clear, rock bottom streams with deep holes, fast water & waterfalls. Easy access via private road. Secluded. No adjacent sub-divisions. Excellent tree cover with pecan, oak, elm, & some cedar. Deer, turkey, hogs, birds. Superb fishing, boating, kayaking, tubing & swimming. Convey all minerals. 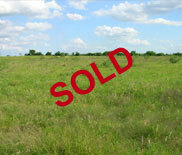 Price reduced from $8,000 to $6,750 to $6,000 per acre. 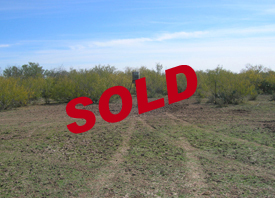 606.71 Acres Located 35 Miles North of Zapata in Zapata County. Turnkey ranch with water well, electricity, barn and mobile home. Price: $1,122,414 or $1,850 an acre. 506.951 ACRES located 20 miles south of downtown Austin in Caldwell County or 6 miles north of Lockhart. Has frontage on the new SH-130 toll road near convenient entry/exit points. Heavy tree and brush cover. Exceptionally well watered by three earthen stock ponds, one large lake and water service from a community water supply company. High elevation land with awesome views. Numerous old headquarters buildings, horse barns, dairy barns and miscellaneous structures left over from earlier days. These structures are not now in use. Seller will convey all mineral, water and air rights with retention of one-half participating royalty interest. Price $2,281,280 or $4,500 per acre. 500 ACRES located in Blanco County about one-half mile south of Blanco or within 45 miles of both Austin and San Antonio. Absolutely beautiful Hill Country with breathtaking views, healthy oak trees (4 varieties), deer, birds, two crystal clear stock ponds, two water wells, small house and old barn. 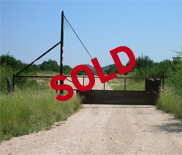 Prime development property with long frontage on two highways and possible access to the city of Blanco water supply. Convey all minerals. Cash or terms. $7,000 per acre. 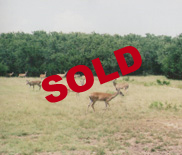 347.0467 ACRES located in "big buck" country 17 miles northeast of Laredo in Webb County. A happy mixture of native high protein South Texas brush, mesquite and a few prickly pear. Deer, quail, turkey, bobcats, coyotes, hogs and an occasional mountain lion inhabit this property. Low fences. Easy access just of State Hwy 59. An end of the road ranch. This land is ideally suited for a private recreational ranch or weekend retreat. 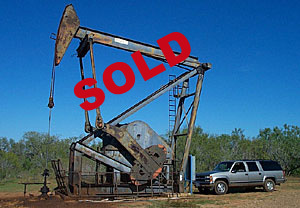 Produces $24,000 per year income from an oil company surface lease on 31 acres. $2,600 per acre or $902,200. 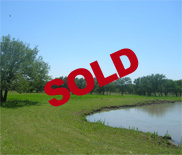 237.69 ACRES 28 miles south of San Antonio near Jourdanton in Atascosa County. Happy mixture of native brush and fertile farmland. Deer, birds and hogs. Surrounded by Carizzo sand irrigation water wells. County road frontage on two sides. This land is ideally suited for a country estate, horse farm, game ranch or small tract subdivision. Seller finance: 15 yrs @ 6% fixed, 20% down, non-recourse Note, no prepayment penalty. Price: $2,250 per acre or $534,802. 200 ACRES located in Webb County about 15 miles south of Laredo. Offered intact or in two tracts. Big buck deer country with Boone and Crockett potential. Also hogs, javelina, quail, turkey, bobcats, coyotes and an occasional mountain lion inhabit the property. Covered with excellent South Texas brush and grass. Excellent deer and quail habitat. One lake and two seasonal creeks. Outstanding larger lake site. Sizable neighbors. Access is via a 3.5 mile all weather road connecting the ranch with a paved Farm to Market Road. Priced to sell at $500,000 or $2,500 per acre. 192.88 ACRES located in Kerr County 30 miles west of Kerrville and one mile from the famous YO Ranch. 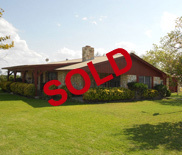 Choice property located in an area of upscale ranches. 1,900 feet of State Hwy 41 frontage. Beautiful live oak tree covered rolling land with no cedar. Good pond. High fenced on two sides. Excellent underground water. Electricity. 2,000 feet of both sides of seasonal creek. Will convey all minerals and 50% royalty. Terms: all cash or Seller finance. $675,080.00 or $3,500 per acre. 190.947 ACRES located on Highway 281 ten miles south of Blanco or 30 miles north of San Antonio. Steeply rolling tree covered land with a 25 acre high elevation view site providing tremendous views. Heavy tree cover comprised of live oak, Spanish oak, elm, hackberry, persimmon and cedar. There are no existing improvements except for one water well. With its high elevation hilltop, easy access, tree cover and utilities this land is ideally suited for a country estate or small tract subdivision. Minerals appear to be intact and all mineral, water and air rights owned will be conveyed. 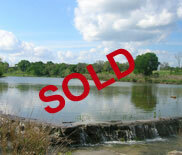 Price reduced from $7,000 per acre to $6,000 per acre or $1,145,682. 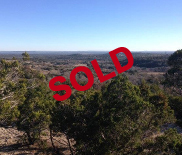 180.725 Acres Located In Kendall County 7 miles North Of Boerne. Rugged and pristine tree covered ranch with privacy, wildlife and great location. Price reduced: $1,090,500 or $6,000 an acre. 156.2 ACRES located in Kendall County in the middle of the Hill County 45 miles north of San Antonio or 55 miles southwest of Austin. 2,400 feet of South Fork Blanco River flows thru the ranch. Beautiful land with trees, views, deer, turkey and birds. Live stream, 4 ponds, several lake sites. Large neighbors, low fences and a 25 acre bottomland field ideal for an orchard or grape vineyard. All minerals convey. $1,054,350 or $6,750 per acre. 152.342 ACRES located in Medina County 4 miles west of Lytle or 26 miles southwest of San Antonio. Has many strong points: 3 BR, 2 bath rock house, paved road frontage, both sides of a permanent stream, 2 water wells, BMA irrigation water rights on 127.85 acres, 3 water meter taps, 1 natural gas tap, barns, pens, corrals and county road frontage on 3 sides. Very productive!!! Will convey all minerals and some royalty. $685,000 or $4,496.46 per acre. 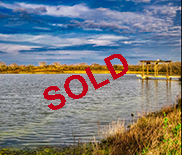 150 ACRES located 25 miles south of Austin in Caldwell County near Lockhart and the new SH 130 toll-road. Beautiful Rolling land with high elevation view sites and black clay-loam soil that will grow anything you desire to grow. Most of the land is now in improved pasture. County road frontage dead ends at the property. An 8" community water line with multiple taps available lies along the county road fronting this property. There are no existing improvements. This land is ideally suited for a country estate, horse farm, row-crop farm, or small tract subdivision. Seller finance: 15 yrs @ 6% fixed, non-recourse, no prepayment penalty. Price: $3,000 per acre or $450,000. 147.37 ACRES located in LaSalle County about 85 miles south southwest of San Antonio or 10 miles southeast of Cotulla. 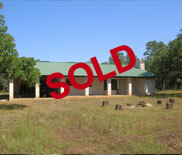 A great South Texas hunting ranch in heart of "Big Buck County". Outstanding tree and brush cover, nice weekend cabin, stock pond, water well, electricity, low fenced. Easily accessible with about one mile of paved road frontage on RR 469. Good deer herd, hogs, quail, dove and miscellaneous critters. Well suited for an oil-field service supply yard. Price: $2,500.00 per acre or $368,425.00 total. 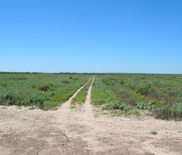 100 ACRES located in Zapata County 14 miles northwest of Zapata, which is the county seat, or 30 miles south southeast of Laredo. Includes a beautiful 3 year old brick house with modern conveniences and a combination free standing barn with a combination bunk room/game room. Privacy is assured as the property is located at the end of an all-weather caliche road 1.5 miles off paved Ranch Road 3169. There are no road easements through the property. High fenced on three sides. $349,500.00 or $3,495 an acre. 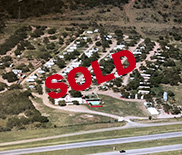 73 +/- Acres RV Park located in Cotulla, Texas. Established RV Park on the Nueces River just south of Cotulla on IH-35. Offered at $1,500,000. 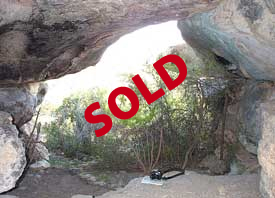 59.5 ACRES located in Blanco County about one mile south of Blanco or within 45 miles of both Austin and San Antonio. Absolutely beautiful Hill Country land with hwy frontage, nice views, huge healthy oak trees, two good water wells, good rock hdq house, and a large mfg home with 4 bedrooms & 3 bathrooms. A 12 space mobile home park is also included. Prime development property. Convey all minerals. $710,000.00. 32.9 Acres Located 3 Miles South Of Victoria in Victoria County. Cleared farmland with excellent access to Highways 77 and 59. Excellent commercial or subdivision potential. Price: $195,000 or $5,927 per acre. 31.18 ACRES located in Kerr County between Fredericksburg and Kerrville.Pedernales River frontage plus a seasonal creek thru. Park-like appearance. Beautiful trees. Paved county road access via a dead-end county road thru the property. Park-like appearance. No cedar. Good sandy loam soil ideally suited for orchard or vineyard. Upscale neighborhood, restrictions. Owner finance with 10% down. Priced to sell at $$498,880.00. 3.73 ACRES located in Kimble County on the beautiful South Llano River about 8 miles south of Junction near the South Llano River State Park.Has 285 feet of spectacular, accessible and useable River frontage. Recently remodeled 3 B.R. 2 bath all cedar main house and small guest house. Sleeps 18 people. Fantastic kayaking, canoeing, swimming, tubing, birding & fishing. New water well, new decks and much more. Furnishings, jeep, kayak trailer and more can be included. One of a kind turn-key hide-a-way retreat!! Price reduced to $575,000 if no personal property is included or $595,000 with personal property included. 9.47 ACRES in Kendall County 13 miles northeast of Boerne or 40 miles north northwest of San Antonio. Excellent residential or weekend retreat for those who want end of the road privacy. Surrounded by large ranches, this unique property is Ag. Exempt and hunting is allowed. Whitetail deer, axis deer, hogs and turkey abound. Outstanding 3/2/2 modern ranch home with fireplace, custom cabinetry, well, electricity, well house, fenced and all appliances convey. In the highly acclaimed Boerne I.S.D. Hundreds of oaks on flat terrain suitable for horses or other livestock. Fifteen minutes to Boerne and or Comfort. Seller to convey all minerals owned. A beautiful setting for family gatherings. $399,900. 3.049 ACRES located in an upscale gated community between San Antonio and Boerne near IH-10. 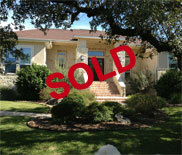 The property is located 25 miles N-W of downtown San Antonio or 5 miles S-E of Boerne. A pretty Hill Country estate with a beautiful 3,008 sq. ft. all rock and stucco custom home. 3 bedrooms and four and one half baths. Landscaping is excellent. Fenced, additional security gate, pool, and privacy. Great location and priced to sell. Price: $559,500. 9,305 ACRES located 11 miles north of Brackettville in Kinney County or about 115 miles west of San Antonio. Deer, turkey, dove, quail and hogs. Operating ranch with excellent tree cover and tons of character. Highway frontage. Nine good water wells, electricity, and underground telephone service. Will convey all mineral & water rights & reserve half royalty. $365 per acre intact or in two tracts at $375 & $385 per acre. 6,310 ACRES located in Edwards County about 35 miles southwest of Rocksprings or 130 miles west northwest of San Antonio. Picturesque ranch with semi-rugged terrain, ridges and pretty valleys. Heavy tree cover includes live oak, mesquite and cedar. Excellent population of deer, turkey and birds. Highway frontage and county road through the ranch. Two old houses, 2 wells, pens. Some minerals included. $400 per acre. 2,634 ACRES located 20 miles northeast of Sonora in Sutton and Schleicher Counties. Part of an old pioneer family ranch located in a quality area. Original headquarters with old house, barns and pens. Paved road frontage. Three good water wells, trophy whitetail deer, turkey, birds, and large live oak trees. Will convey some participating royalty. Offered intact at $390 per acre or in three tracts starting at $410 per acre. 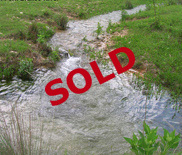 2,564 ACRES located in McMullen County about 65 miles south of San Antonio near Tilden. Showplace with 9,483 sq ft house, 12,000 sq ft hanger, airstrip, high game proof fence, Frio River frontage, 9 deep lakes, 3 water wells. Boone & Crockett deer, quail, dove, turkey, fish and hogs. Cash or terms with excellent financing by Seller: $916 per acre. 2,046 ACRES located in Edwards County 30 miles southwest of Rocksprings or about 135 miles west northwest of San Antonio. A scenic end of the road ranch with deer, turkey, dove and quail. Excellent tree cover includes live oak, shin oak, mesquite, cedar and persimmon. Three good water wells with electric pumps. Small new cabin needs some finish work. Deer feeders & blinds included. $325 per acre. 1,792 ACRES located in Bandera County about 35 miles northwest of San Antonio near Bandera. 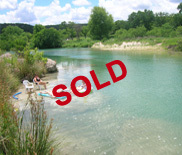 Four miles of beautiful Medina River frontage, comfortable 6,700 sq. ft. rock hdq house with 8 bedrooms and 8 bathrooms, pool, tennis court, and barns. Scenic Hill Country land overrun with deer, turkey, birds, wildlife and a river full of fish. Convey all minerals. $1,800 per acre. 1,520 ACRES located 42 miles south southwest of downtown San Antonio in Atascosa County A fine South Texas ranch with extremely heavy tree cover and a good population of white tail deer, turkey, quail and hogs. Three miles of hwy frontage and a good carrizo sand water well. Two small lakes and locations for more. All minerals and 50% of Seller's producing royalty included. $875 per acre. 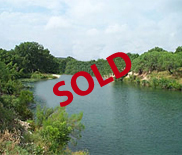 1,438 ACRES located 40 miles south of San Antonio in Frio County. 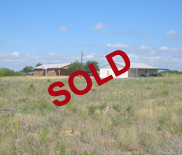 Outstanding irrigated stock farm with great potential for development into a first class bird hunting and recreation ranch. Includes 2 self propelled overhead pivot sprinklers, a 1,500 g.p.m. Carrizo sand irrigation well, 2 other wells and 10 earthen tanks/lakes. Two houses, excellent welded steel pens and barns. Outstanding quail, dove and deer hunting. Convey half of minerals. $850 per acre. 1,328 ACRES located 5 miles northwest of Rocksprings in Edwards County or about 116 miles northwest of San Antonio.. A highly improved turn-key hunting-ranching-recreation ranch with 3 good houses, a big barn and 2 water wells. Gently rolling land with thousands of live oak trees. Loaded with deer, turkey and blackbuck antelope. Ready to use. Paved road front. Low fenced. Convey all minerals. Cash or terms. $795 per acre. 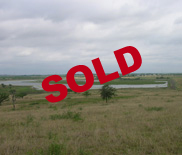 559 ACRES located in McCulloch County about 110 miles northwest of Austin. Hill Country retreat with a 6 bedroom, 3 bathroom headquarters complex, 9 fishing tank/lakes, barns, pens, corrals and 3,300 foot sod landing strip. Paved road frontage. Great fishing and outstanding population of deer, turkey, quail and dove. Convey all minerals and 50% royalty. Cash or easy terms. $895 per acre. 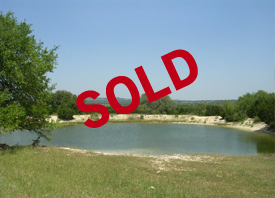 500 ACRES located in Medina County 33 miles west of San Antonio. An all purpose ranch with an 1850s restored German style rock house, 55 acre irrigated pecan grove, 88 acres of irrigated hay fields, 3 lakes, deer, turkey, quail and doves. A beautiful weekend retreat with most of the basic hard work already completed. Minerals intact and convey all. Immediate possession. $1,500 per acre. 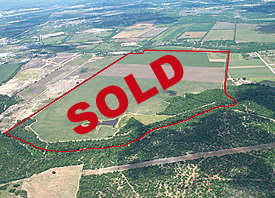 489 ACRES located on the south edge of San Antonio two miles south of Loop 410. 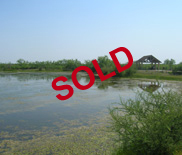 Paved road frontage, one mile of frontage on a live creek, two earthen lakes. Includes 405 acres of prime farm land that can be irrigated. Ideally suited for residential/commercial development, golf course, horse/cattle showplace, mobile home park, farming or excavation and sale of topsoil. Will convey all minerals owned. $2,000 per acre. 408 ACRES located in Blanco County between Johnson City and Fredericksburg in heart of the Hill Country about 45 miles west of Austin. Old German family ranch. Both sides of crystal clear spring fed creek. First time on the market. Modern weekend cabin, cattle pens, 2 good water wells. Soil suitable for small fields. Low fenced, large neighbors. Convey all minerals. Owner terms. $1,850 per acre. 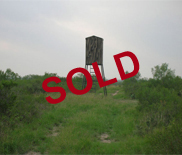 333 ACRES located in Uvalde County near Garner State Park. A beautiful Hill Country Hunting-Ranching-Recreation Ranch with about one-half mile of pretty crystal clear spring fed rock bottom creek meandering through the ranch. Older 2 BR 1 bath hdq house restored to comfortable condition, barns, pens, corrals, water wells and 3 small oat fields. Deer, turkey, exotics and hogs. New deer blinds and solar powered feeders included. Minerals also. $1,350 per acre. 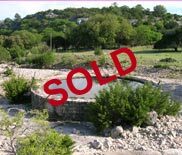 300 ACRE Feet of Edwards Aquifer Water Rights These water rights are defined as unrestricted irrigation underground water rights permitted under the jurisdiction of the Edwards Aquifer Authority (EAA). They are fully permitted, filed of record and transferable to any user/entity needing to pump water out of the Edwards Aquifer. Offering price is $2,100 per acre foot. 147.37 ACRES located in LaSalle County about 100 miles south southwest of San Antonio or 18 miles southeast of Cotulla. South Texas hunting ranch in heart of “Big Buck County”. Outstanding tree and brush cover, nice weekend cabin, stock pond, electricity, paved road frontage on two sides, low fenced all sides. Good deer herd, hogs, quail, dove and miscellaneous crittes. A fine family recreation ranch. Price reduced from $2,300.00 to $2,100.00 per acre for a total of $309,447.00. 11.03 ACRES located in Bell County Located 3 miles east southeast of Oenaville in the Bean Hill community; or 9 miles east of Temple; or 14 miles west of Rosebud; or 16 miles east northeast of Belton, which is the county seat; or 30 miles south of Waco; or 65 miles north northeast of Austin; or 120 miles south of Dallas; or 150 miles northwest of Houston. All distances are measured straight-line “as the crow flies. $4,500.00 per acre.